Do you want to change your career here in Pennsylvania? Are you tired of your monotonous job? Want to do something more meaningful? Prepare for the hearing aid specialist licensing exam here in Pennsylvania and start working as a licensed professional in about 3 to 6 months. The Hearing Aid Academy provides you an opportunity to enroll in the 100% online self-paced program to complete the course at your speed. Enjoy a career that comes with flexible work timing and great earning potential. Do you know more than 48 million Americans suffer from hearing loss with 1 in every 5 people below the age of 65 complains about hearing loss? The hearing healthy industry is growing at a fast pace and this is opening doors for students who want to pass the hearing aid specialist licensing exam here in Pennsylvania and work as licensed professionals. If you want a job that offers the advantage of working flexible hours and come with great income potential, register with the Hearing Aid Academy (HAA). At HAA, we help students prepare for the international licensing exam administered by the International Hearing Society (IHS). Passing the exam will help you start working as a qualified professional. Hearing Aid Academy has experienced and qualified instructors with more than 30 years of experience on board. They help you clear your doubts and provide comprehensive and advanced online education. To acquire a license and start earning a good income, you need to pass the hearing aid specialist licensing exam here in Pennsylvania. The International Hearing Society conducts written and practical International Licensing Exam throughout the United States. Apart from passing the licensing exam, an applicant must fulfill the following requirements. The hearing health industry offers long-term stability, comes with flexible working hours, and a chance to earn a good income. Do you know for every qualified hearing aid specialist there are currently five job openings? Retailers such as Miracle-Ear, Walgreens, Costco, CVS Pharmacy and Sam’s Club are opening retail centers throughout the nation. These companies are unable to find licensed hearing aid specialists to fill in the vacancies. Thus, they have slowed down the expansion process. If you have been planning to switch your job with something more meaningful, this is the right time to do so. Do you want to prepare for the hearing aid specialist licensing exam here in Pennsylvania without leaving your job? If so, enroll with the Hearing Aid Academy. Do you know licensed hearing aid specialists are currently earning an average salary of $60,000 to $70,000? Working as a hearing aid specialist gives you a chance to work flexible hours with weekends and holidays off. 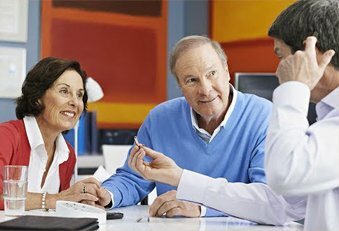 Moreover, you can easily earn huge incentives by selling hearing aids. For every pair of hearing aid that you sell, you can easily earn up to $100. Therefore, by selling a few hearing aids throughout the year, you can earn up to $10,000. A career as a hearing aid specialist comes with great income opportunities. Hearing Aid Academy offers comprehensive and advanced online training to help students pass the hearing aid specialist licensing exam here in Pennsylvania. Payments for this 100% online self-paced program starts as low as $199 per month. Hearing Aid Academy also provides financial assistance to students who qualify for the course. So if you don’t want to leave your current daytime job, yet want to pursue the hearing aid specialist course, enroll with this online program now. To study this online curriculum, you just need a working internet connection and a laptop. This is one of the biggest benefits offered by the Hearing Aid Academy. This course is spread across 31 modules and 100 hours of video training. When you enroll at an accredited university or college, you need to leave your job and focus on your education for two or more years. But with this self-paced program, you can easily study according to your convenience. You can work regular hours while building your study schedule around your work routine and not the other way around. If you enroll in the traditional method of education, you need to invest two or three years of your life. But if you don’t have that much time to spare, you can prepare for the hearing aid specialist licensing exam here in Pennsylvania in about 3 to 6 months depending on your speed.